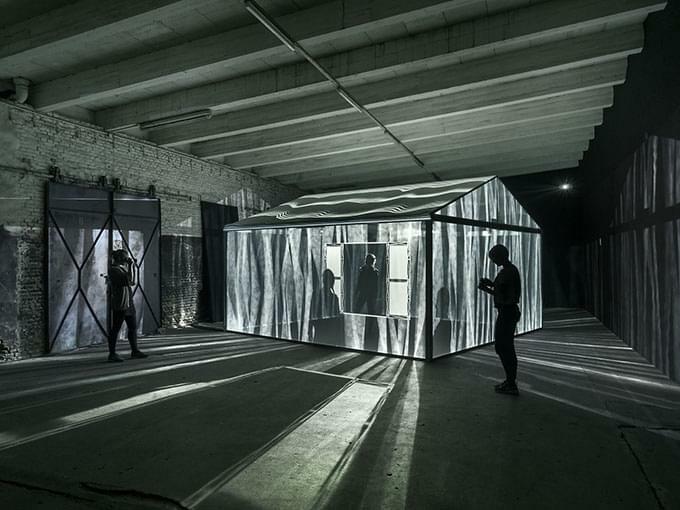 Glasgow-born, Berlin-based architect and designer Leigh Sachwitz’s Studio for Design flora&faunavisions GmbH has created a mesmerizing interactive experience called ‘Insideout’ for the Triennale der Photographie in Hamburg. The Triennale has occurred every three years since 1999 and this year’s event is held from June 18 to June 28. Leigh Sachwitz’s installation is both chilling and soothing at the same time. It is a 360° multimedia installation that explores the house as a sanctuary and as a safe haven from nature’s many forces. 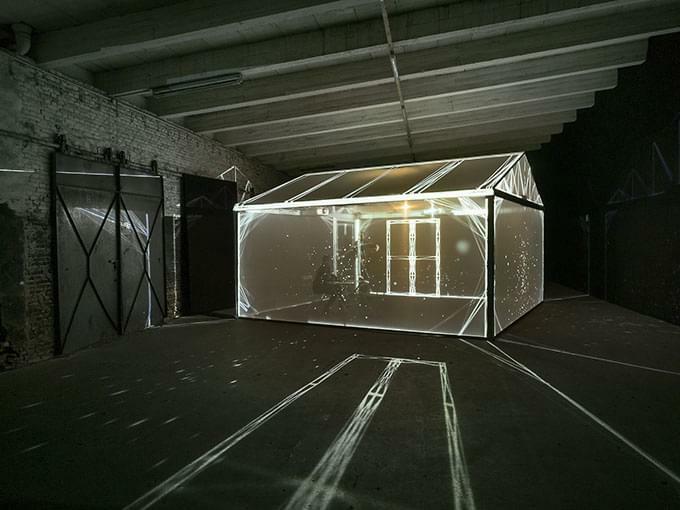 Inside the greenhouse-like illuminated installation, the viewer, or more specifically the participant, experiences nature’s many forces by hearing the rain and watching the dark clouds gather above, and when the protective walls disappear, the participant will feel exposed and vulnerable in the eye of the storm. But then, once the storm has passed, there is a feeling of purity and freshness, and an overall sense of calm envelopes the participant. 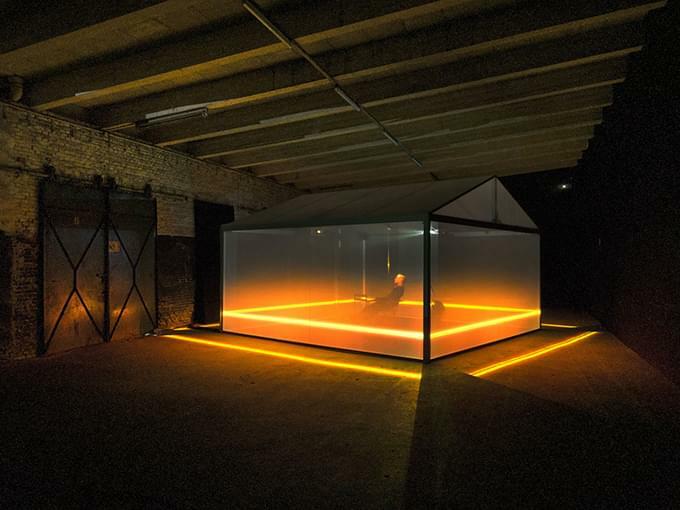 The visual installation is accompanied by sound design by the Berlin-based award-winning composer, musician and producer Andi Toma, one of the founding members of the electronic music collaboration Mouse on Mars. – Tuija Seipell.